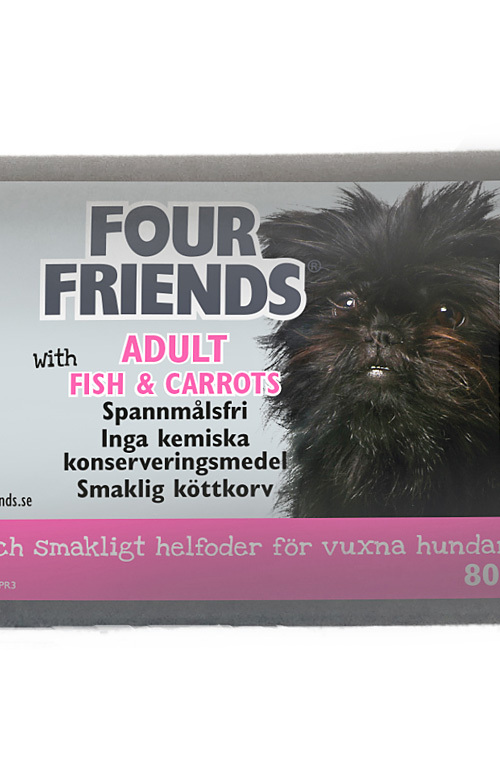 FourFriends Moist Fish & Carrots is grain and gluten free. 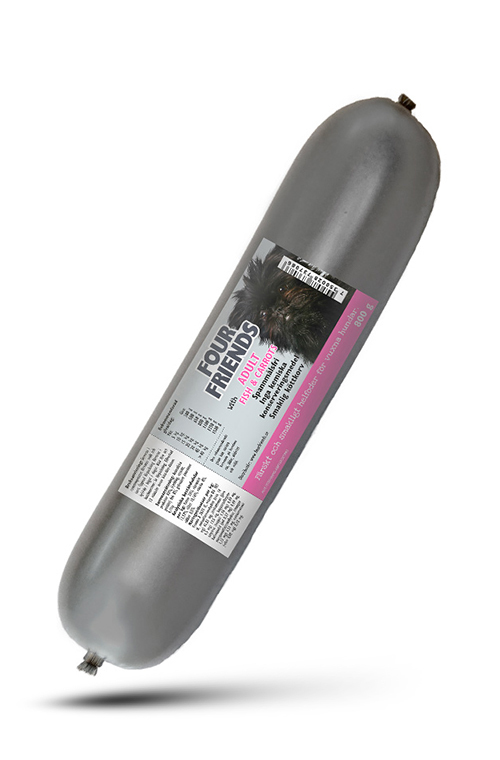 This moist food is of the highest quality containing fish meat & carrots. Unopened can be stored at room temperature. Once opened can be stored for 3 to 4 days in fridge. Contains no chemical preservatives. It can be used as a complete or as a topping to dry food. The packaging is biodegradable. With 85% Meat (chicken, beef, pork), fish 8%, carrots 4,1%.